I hold an undergraduate degree in Studio Arts from Towson State University and a Master’s degree from the University of the Arts, and have been teaching art and design courses at the community college level for the past decade. I have also taught graduate courses in the Museum Studies Graduate program at UArts and worked as an art conservation technician at the Philadelphia Museum of Art in objects and textiles. I’ve been a painter most of my life and for the past 15 years have concentrated my studies using the realism colorist philosophies of Henry Hensche and his predecessor Henry Hawthorne, both of the Cape Cod School of Art. I’ve also studied under the following distinguished artists; Camille Prezwodek, Petaluma, California; Jean Brinton Jaecks, Annapolis, Maryland; Robin Frey and Natalie Italiano of Studio Incamminati in Philadelphia; and Valerie Craig; St. Davids, Pennsylvania. I have also worked as a freelance graphic designer, primarily with cultural nonprofit organizations. My graphic design work may be found in two permanent exhibits at the Academy of Natural Sciences, as well as many projects with Rutgers University and the Philadelphia Museum of Art. 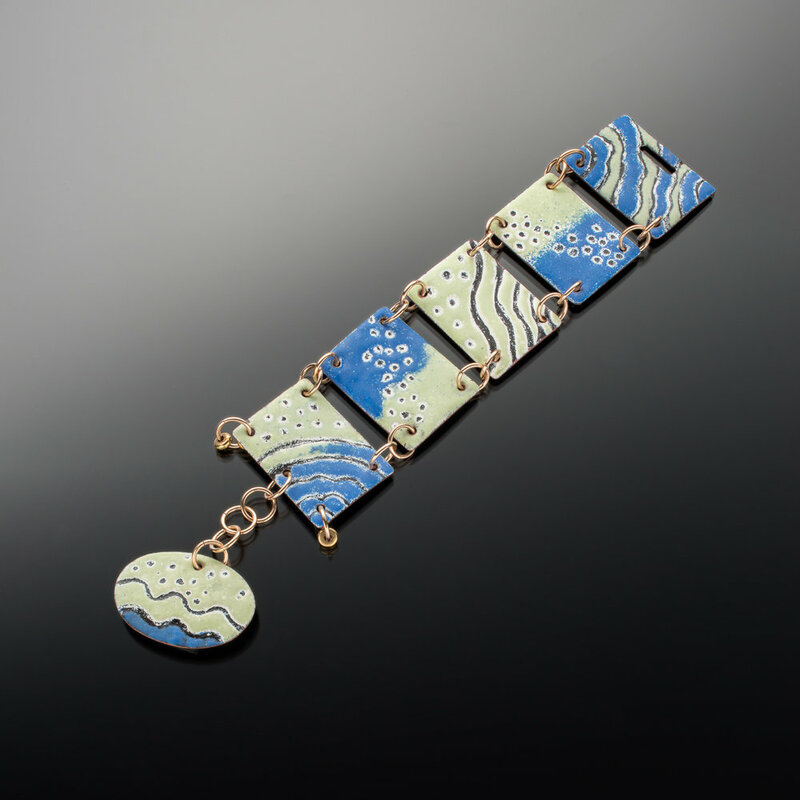 In 2011, I renewed my interests in metal work and enameling after attending an exhibition in Asheville, North Carolina. Since then, I have studied the craft of cloisonné and champlevé with Linda Darty of East Carolina University in North Carolina and Certaldo, Italy and Sandra McEwen in North Carolina. Currently, I am working on refining my skills in the art of champlevé and cloisonné. I do explore alternative enameling techniques but am particularly drawn to the illustrative and colorful qualities of cloisonné using opaque and transparent enamels. I am also interested in keeping a centuries-old craft alive and educating the public on the current methods and practices of enameling. I currently sell my work on Etsy and through my website (www.1500degreesArtwear.com). My studio is located in Chester Springs, Pennsylvania, where I create unique kiln and torch-fired enameled jewelry pieces incorporating copper and fine silver as well as semi-precious stones. In addition, I’m excited to share that I’ve had two enameling tutorials published in the online publication Artisan Jewelry Times (www.artisanjewelrytimes.com). They are in the November 2015 and November 2016 issues. I am also scheduled to be one of the featured artists included in the winter 2017-2018 issue of Belle Armoire magazine.